· Obesity (the storage of excess fat) is usually caused by excessive food intake and insufficient exercise. · Estimates show that 40% to 50% of dogs are overweight and 25% of dogs are obese. · Dogs can develop many obesity-related health problems. · By examining your dog, veterinarians determine whether he or she is overweight or obese and help you create a weight-loss program. · The most effective weight-loss plans involve increasing activity and feeding fewer calories. Causes Obesity (the storage of excess fat) is typically caused by excessive food intake and insufficient exercise. According to estimates, 40% to 50% of dogs are overweight and 25% are obese. Obesity is more common in older, less active pets. Dogs that are fed homemade meals, table scraps and snacks are more likely to be overweight than dogs eating only a high-quality commercial pet food. There are many obesity-related health problems, and some medical conditions can lead to obesity. So it’s important to take your dog in for annual checkups. Remember, you can’t judge if your dog is overweight merely by putting him or her on a scale. By examining your dog, veterinarians can use weight, overall body condition, and other indicators to tell you whether he or she is overweight or obese, what the probable cause is, and what the best weight-loss regimen is. Don’t feel bad if you are told your dog is too heavy. Everyone knows that dieting can be challenging. But losing weight can help your dog live longer, avoid disease and feel better, so it is well worth the effort. Get veterinary advice before changing your dog’s eating and exercise habits. Veterinarians are trained to recommend an appropriate diet and exercise program for safe weight loss. When helping your dog lose weight, slower is safer. “Crash” diets or intense workouts aren’t appropriate for inactive dogs. If your dog gained the weight slowly, he or she can lose it slowly. The most effective weight-loss plans involve increasing activity and feeding fewer calories. The more convenient you make it, the better the chance of sticking with it. When on a weight-loss program, your dog should lose 2% or less of its initial body weight per week. For example, a 100-pound dog should lose no more than 2 pounds every week. A successful weight-loss program may take a year or longer. There are several dietary strategies for helping your dog lose weight. One or more of the following may be recommended by your veterinary hospital. For all of these methods, it’s important to use an actual measuring cup (not an old coffee mug or drinking cup) to keep track of how much you’re feeding your dog. Feed your dog smaller meals more often. This helps your dog burn more calories and should help minimize begging for food. However, don’t feed more food per day. Instead, divide your dog’s daily ration into three or more feedings. Feed your dog less of its regular food per day. This strategy is most effective with increased activity. But check first with your veterinarian to ensure that your dog will receive the right amount of nutrients. 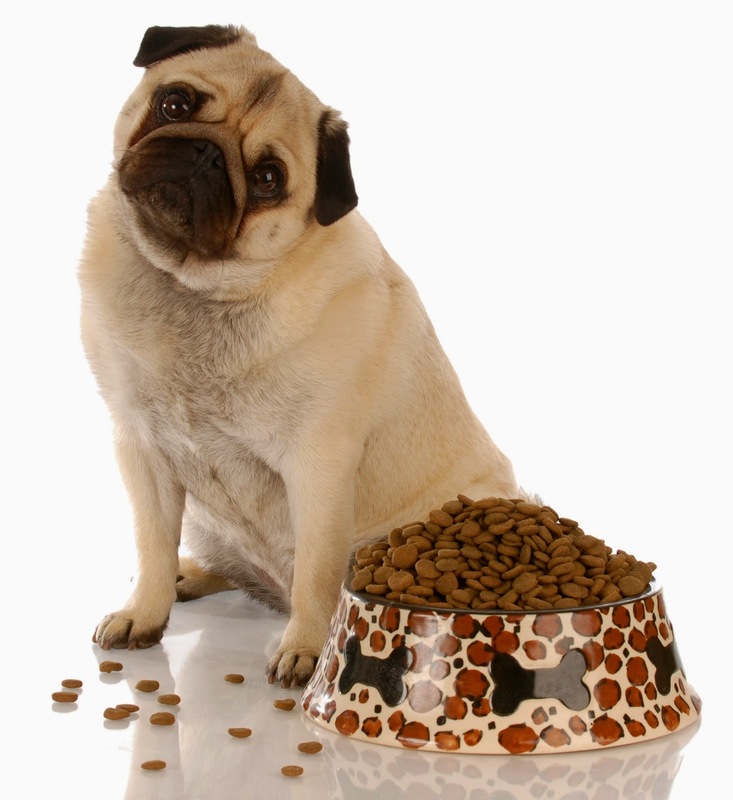 Instead of feeding your dog less, gradually switch him or her to a lower-calorie food recommended by your veterinarian. The change should be gradual; a sudden switch could upset your dog’s stomach. Combine the new food with your dog’s usual food in larger and larger proportions over several weeks until you are only providing the new food. Give treats only on special occasions, such as birthdays, holidays, or good visits to the veterinarian. Offer low-calorie treats and limit or eliminate fattening ones.